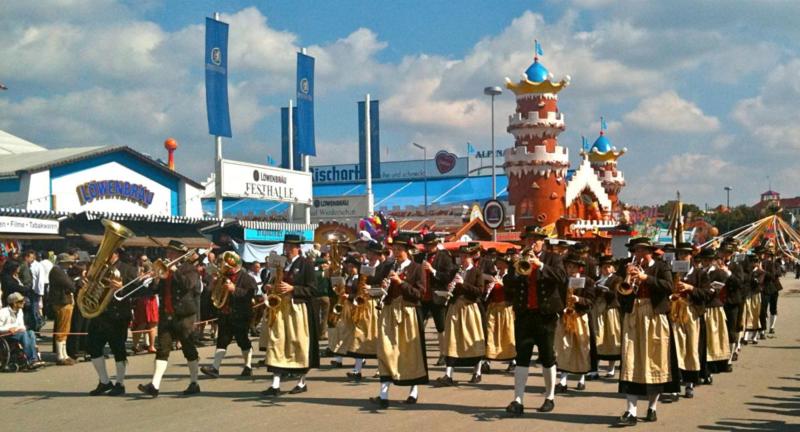 Each year from 1950 to the present day the Trachten und Schützenzug is held on the first Sunday of Oktoberfest, the traditional parade commemorating what previous to 1950 had only taken place in 1835, a celebration of the silver wedding anniversary of King Ludwig and Teresa. This event lasts approximately 2 hours; departure is from Maximilianstraße at 10.00. It is today a pivotal moment of the festival with its approximate 9000 participants, with its floats and costumes, its music, crossing every national boundary and is aired on live television. 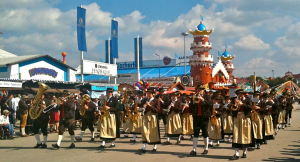 Roughly 7 km of parade with over 40 floats, traditionally led by the Münchner Kindl, the doll symbol of the city of Munich. Not only do we encounter magnificent brewery carriages, but also groups from all over Germany and the rest of Europe, each representative with their extraordinary costumes and their respective bands.